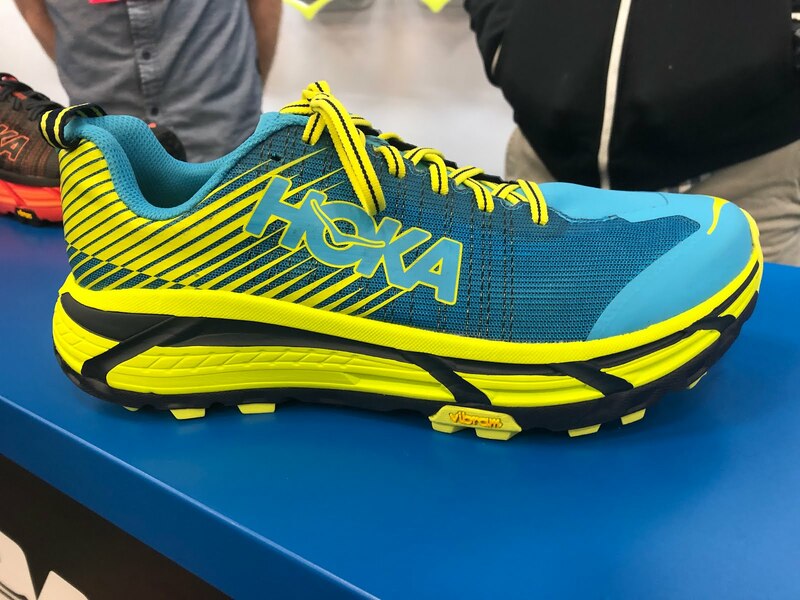 At the recent The Running Event in Austin, Texas Hoka One One previewed updates to the Clifton and EVO Mafate and a new shoe, the Rincon, which could be called the lighter, more responsive, faster days and race Clifton. 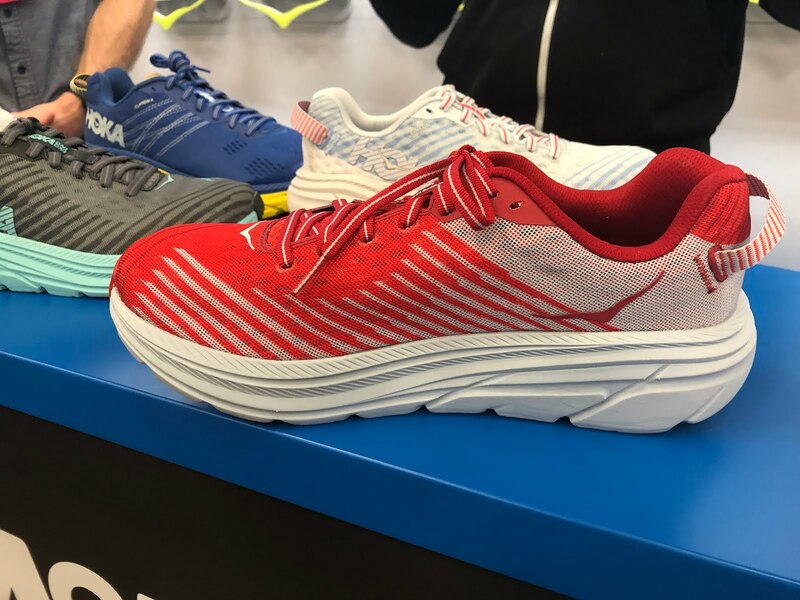 The 7.7 oz / 218 g Rincon has the exact same stack heights as the Clifton but a new firmer denser midsole foam and lower price. It will come in 1.3 oz lighter than its cousin the Clifton 6 which will come in at 9 oz. Available July 2019. 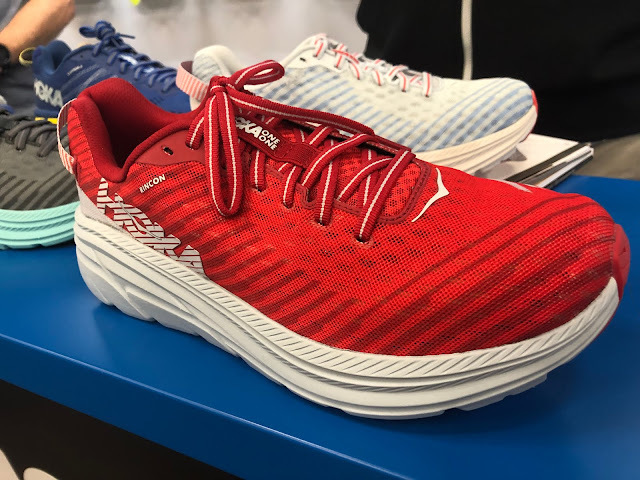 The upper is a soft, pliable engineered mesh with plenty of forefoot room. 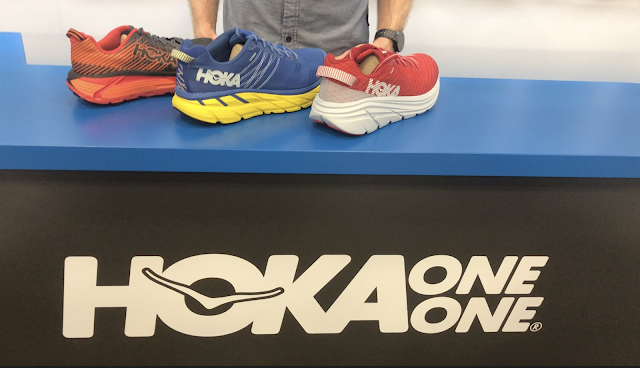 Where will the Rincon fit in the Hoka line up? It can be seen as the lighter, fastest days and race option for Clifton fans as it should be firmer and more responsive. 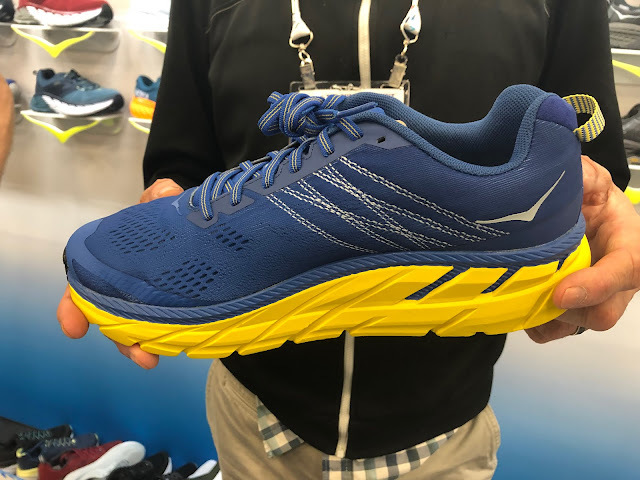 When compared to the February release Mach 2 (RTR preview, review soon), Rincon will be a bit lighter and has a single density midsole vs. the Mach 2 dual density (softer heel firmer forefoot set up) midsole and outsole all made of somewhat bouncy rubberized foam. Mach 2 has a lower stack height at 24 mm heel /19 mm forefoot vs. 29 mm / 24 mm for Rincon. Our Mach 2 test samples come in at about 7.7 oz with sock liner with Hoka's catalog weights showing Rincon 0.3 oz lighter than Mach 2. My sense is the more expensive Mach 2 ($140) will lean slightly more towards performance and racing than Rincon. 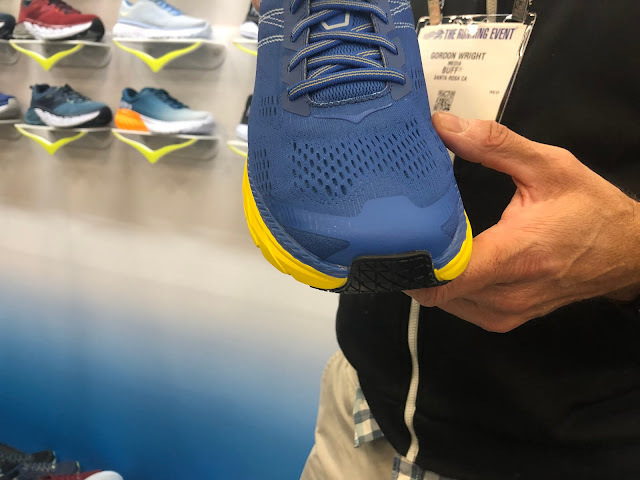 The popular Clifton loses about 0.5 oz and gets a new engineered mesh upper, new midsole tooling and a modified outsole. It should weigh 9 oz per the catalog so comparing to Clifton 5 catalog weight 0.4 oz lighter. In a trend now seen elsewhere (Saucony and New Balance for Fall 2019, and first seen in the EVO Mafate last year, the upper features stitched in-elastic thread to provide support. This excellent new approach eliminates overlays, stitching, glue and weight. Most of the weight reduction comes from the new upper. The toe rand is modified away from the long and fairly dense and stiff feel of the Clifton 5 rand and upper up front. The outsole gets more rubber than the Clifton 5 in the center of the forefoot and a touch less at the heel which should at the rear we think contribute to a softer landing feel. 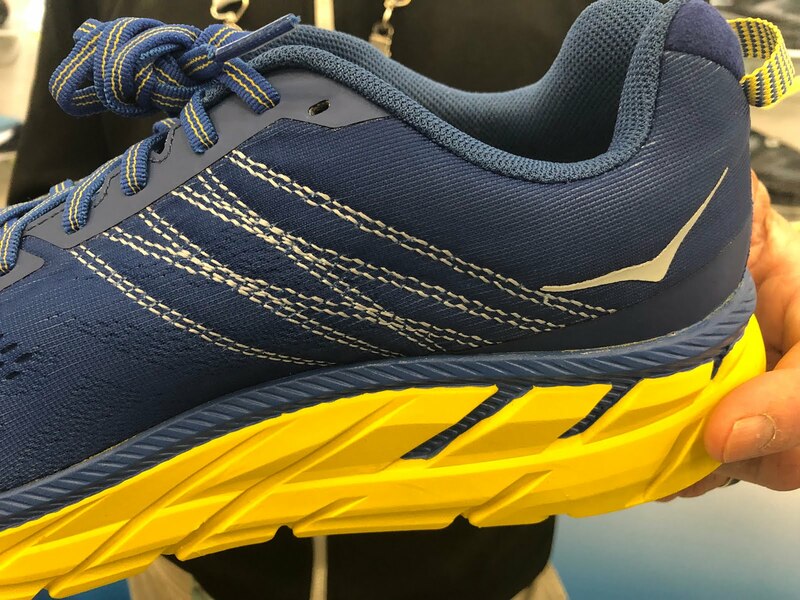 The EVO Mafate 1 (RTR review) is one of our favorite shoes of 2018. 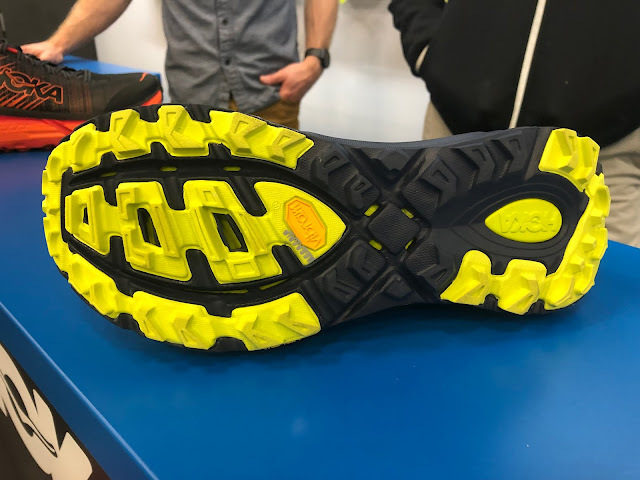 This highly cushioned and also highly responsive ultra racer and do anything trail runner is shod with a Vibram MegaGrip outsole. 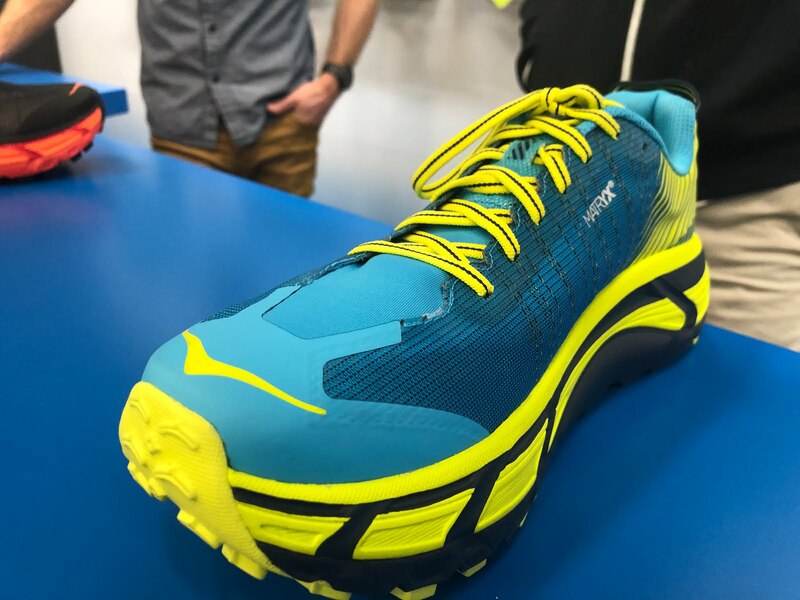 It's innovative MATRYX upper has Kevlar fiber and at mid foot thicker Kevlar "cord" woven in to provide support. Available July 2019. 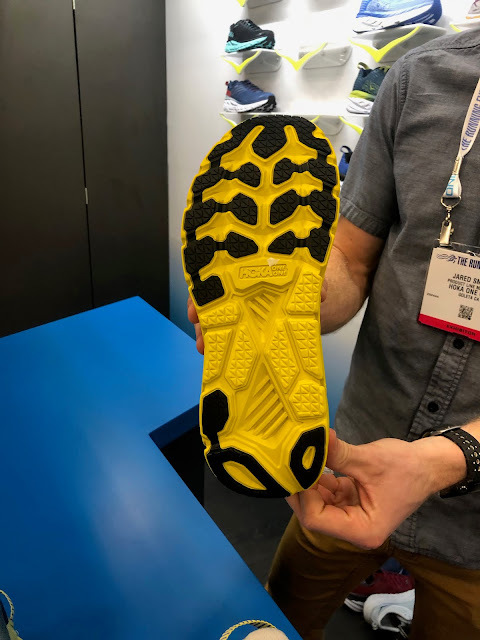 The second edition doesn't change the formula but adds a lycra insert from the toe through the tongue to better and more comfortably wrap the foot and increase flexibility. The only knock on the first EVO was that the upper was a bit rigid and didn't flex as well as it could up front. 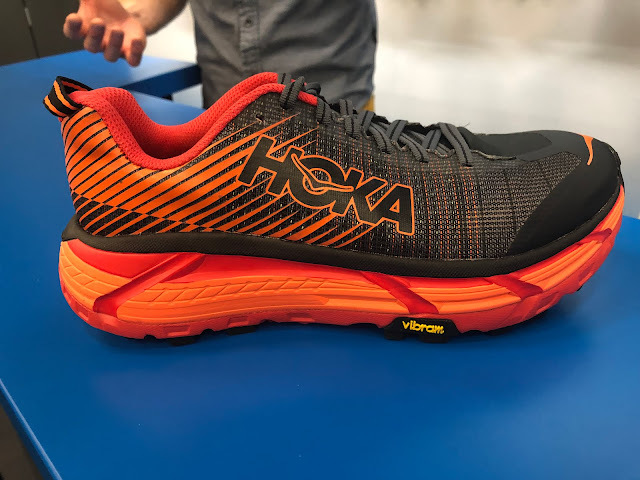 In fact Hoka elites raced this past year in versions with this lycra insert, a form of which is also seen in the new Speedgoat 3 (RTR review). No changes were highlighted for the Vibram MegaGrip outsole. The EVO Mafate will also be available in this red and black color way. The Rincon looks very promising. I still have a lot of life left in my Clayton V1s and it seems like the Mach wasn't the best follow up but the Rincon looks good (and priced nicely). That upper looks very voluminous though. Any mention of a really roomy fit? That pull tab looks ridiculous though! 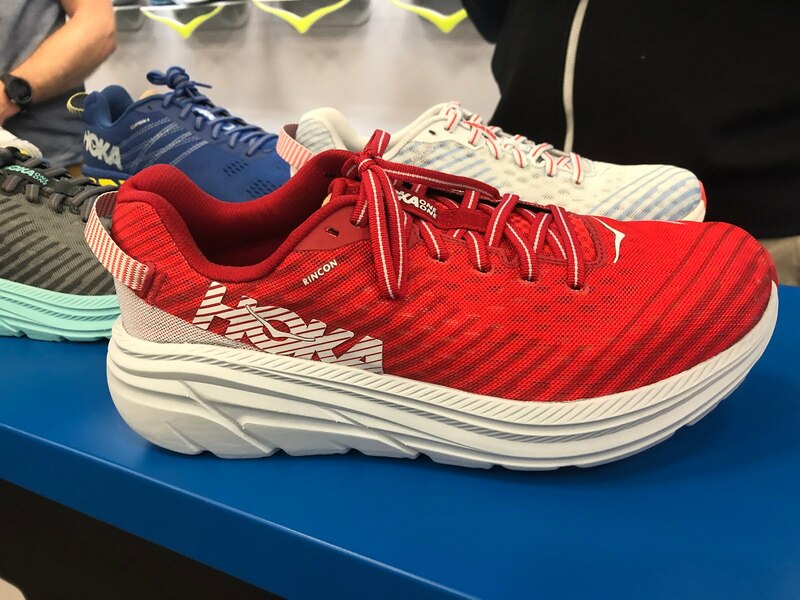 The Clifton 6 might me my first ever Hoka. Definitely liking the weight drop. Tried the Clifton 4 and 5, but both poked me in the arch in a very uncomfortable way. They said the Clifton 6 is built from the ground up so hopefully this will not be something I feel this time around! 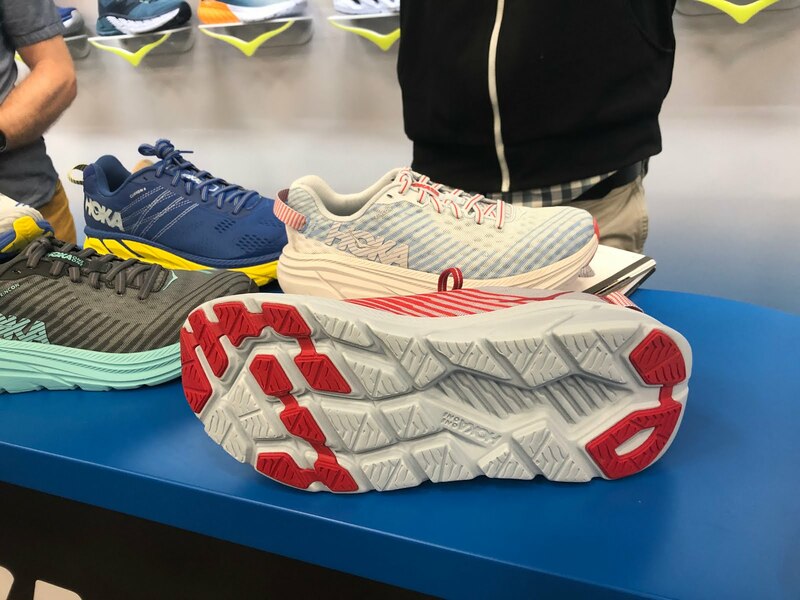 Peter Stuart's 8 Running Things I Loved in 2018!